I’ve had this book on my mind for about 6 months. I finished it that long ago, but I still think about it almost every day. It’s called Night Film written by Marisha Pessl. It follows investigative journalist, Scott McGrath, on a series of strange clues after Ashley, the daughter of a reclusive horror film master, is found dead at the bottom of an elevator shaft. 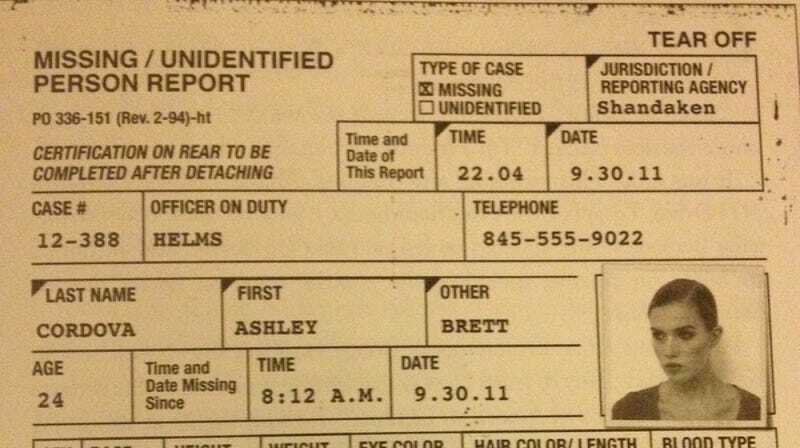 What happened to Ashley? It was ruled a suicide but the off-the-books investigation leads McGrath into a horrifying underworld that leaves the reader questioning reality. Needless to say, the immersion level was high for me in Night Film. Website screenshots, news clippings and photos all seriously enhance the tangibility of the story. So here’s a question for you: What was the last thing the seriously immersed you? Was it SOMA? Was it a book, or a painting? What was it that took over your thoughts and stayed with you into the late hours? TAY BAKING CONTEST: We Have a Winner!